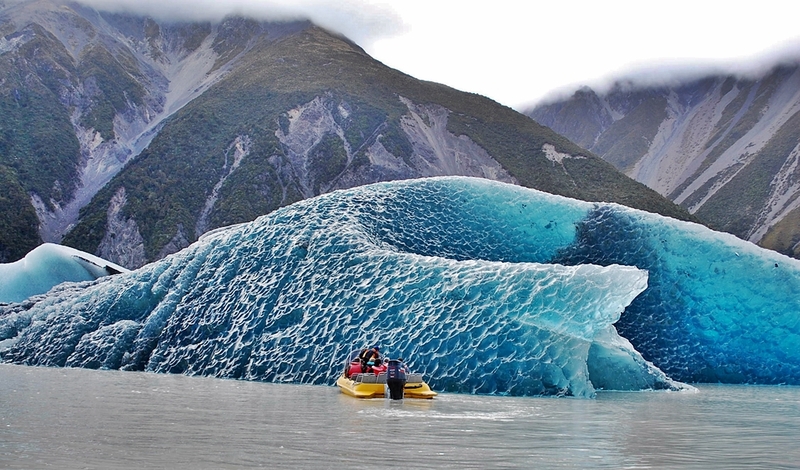 An up close amazing encounter with icebergs, on a glacial terminal lake. Depart from Mount Cook Village outside The Hermitage Hotel. The bus will take you on a pleasant trip to the Tasman Valley, followed by an easy 1/2hr stroll through the National Park. Daily departures at : 8.00am, 9.30am, 11am, 12.30pm, 2pm, 3.30pm & 5pm. Glacier Explorers generally operates from mid August to late May – the glacier lake freezes over winter so the start of the season is subject to the lake thawing.